Clean out some stuff to clear your head! 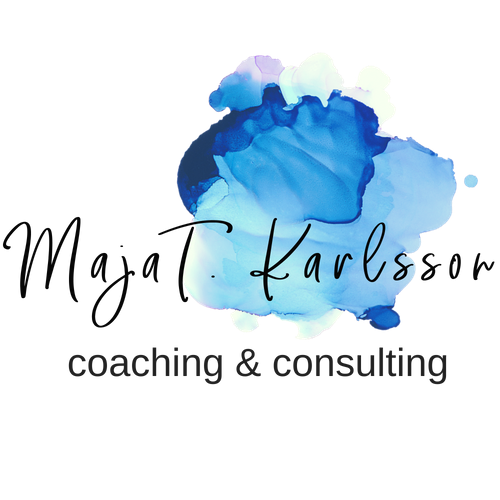 Physical clutter (that stuff everywhere) can really get you down! As you might know, my family downsized last year – no, we didn’t get rid of any people, there are still 4 of us :)! But we moved from a large house to a small one, and in the process, had to let go of lots and lots of stuff that we had accumulated over the years in our large house. 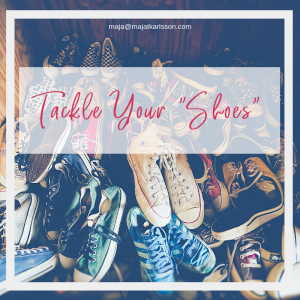 Turns out – in the move, I had filled a bin with shoes I wouldn’t need until spring. Good thing we found it now, and not next year, BUT, what to do now with the shoes when there was no extra room for them? Can getting rid of stuff really make it easier to breathe? 1) Set aside some time in your calendar. This amount will depend on the number of items, how focused you are, etc. You just want enough time to get the job done fully in one go if possible. 2) Gather together ALL of the items you are reviewing (e.g. shoes, appliances, etc.) into one place (if this is too many at once, maybe you start with winter sweaters, and then move on to spring sweaters later). 3) Create or find 3 bins/boxes: 1. Garbage 2. Donate 3. Keep. 4) Either sort the items into common themes (i.e. sandals vs. flats) OR just start with the big pile. 5) Pick up each item, ask “Do I use this? AND Do I love this? If yes, and yes, it goes in keep. If yes and no, determine if it should be replaced – keep it if you use it; donate or garbage if not. If no and yes, maybe it is a keep, but try to start using it. If no and no, goes into garbage or donate. 6) Put it all away! Once all the items are in a bin, put away all the keep items in a way that respects the items, toss the garbage, and immediately donate the rest so you aren’t tempted by “just in case” weakness! Pay attention to how often you decide to keep something based on “just in case”. Just in case is really about FEAR. Consider what you’re afraid of losing if you don’t have that item in your life – is that real or a story you’re telling yourself? Try to push yourself to say goodbye to it. When that item isn’t taking up extra space in your life, you open up space for other good things to come in! Oh, and take a “before and after” picture too! My one wish is that I had taken a before and after picture, but I’ll have to remember that for the next time I clear something out! If you take on the challenge to tackle some clutter in your life, take a before and after photo and then come and post it in the comments below or on the Life You Love Inspiration Lounge Facebook page for others to see! Enjoy that blog post? Get more delivered right to your inbox! Plus other tips and strategies on simplifying your life so you can beat overwhelm and experience more joy! Success! Now go and check your inbox!